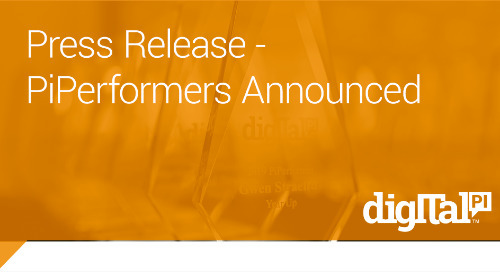 The PiPerformer program recognizes professionals who drive best practice marketing and operations to help their companies thrive with digital transformation. The PiPerformers represent the best of Digital Pi’s customers who provide thought leadership and inspire change within their organization. Our mission is to shine a spotlight on your successes to inspire innovation in marketing. Wouldn’t you like to get the recognition you deserve by being named a PiPerformer? Or maybe you know someone who should? Did you create an amazing marketing program that brought results? Have you brought change to Marketing and Sales alignment? Are you using analytics to drive decisions around best practices? Please share those success stories and results, whether it be a quick win or complex solution. Next to getting the recognition you deserve by being named a PiPerformer, we provide several benefits that accompany the showcasing of your success via our channels. 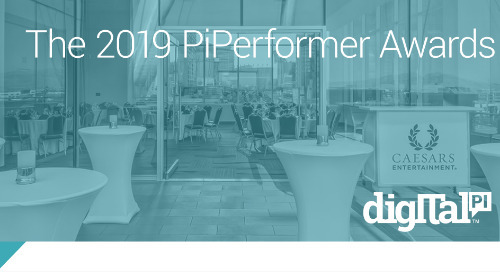 Nominations for the 2020 PiPerformer Awards are not currently will be open to individuals from current* Digital Pi clients who are engaged in marketing leadership and/or operations soon. One person per company or division. The PiPerformers are announced yearly at the Adobe Summit in Las Vegas. * Client with an active project in 2019.